When I lived in Sydney I used to think that her architecture reflected the desire to look out: to gaze upon the drunken beauty of the harbour. While Melbourne, being more geographically staid, was more inward looking, turning back towards the facades of buildings, toward their inner being. Rome too is like a diva, a languorous Loren or Ekland, her own appeal oozing amongst the decay, and in this sense Milan is like Melbourne, or Melbourne Milan, a city turned in upon herself, where beauty is to be found in her galleries and arcades, in private courtyards, ateliers and historic cafes. 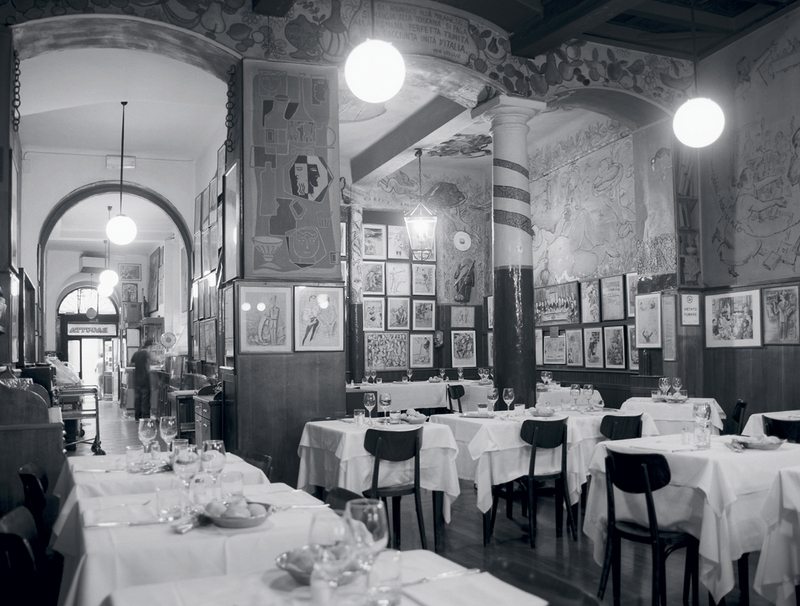 Robyn Lea’s Milan: Discovering Food, Fashion and Family in a Private City is a mirror onto this inner Milanese world, and working on the recipe collection for the book will remain a highlight of my food journey, forever. 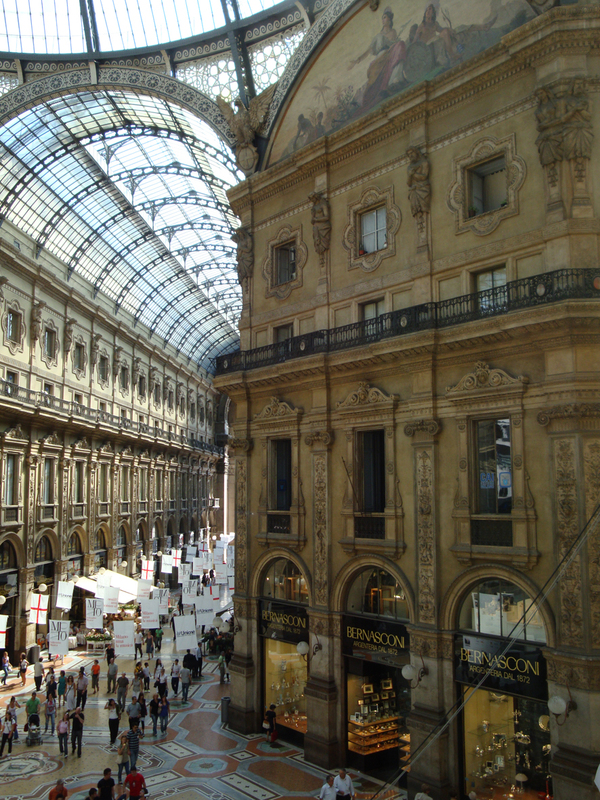 This is my Milan mini guide, all photos by the talented Robyn Lea. I might be more Vintage Prada than this season’s Gucci, but I always enjoy a sashay down Via Montenapoleone; an outdoor museum of designer flagship stores, understated and impeccable Milanese, and over the top wives-of-oligarchs. The antique caffe Cova is where to start the day with a cappuccino and an artisan pastry, or the spot for a quick shot of espresso at the bar. 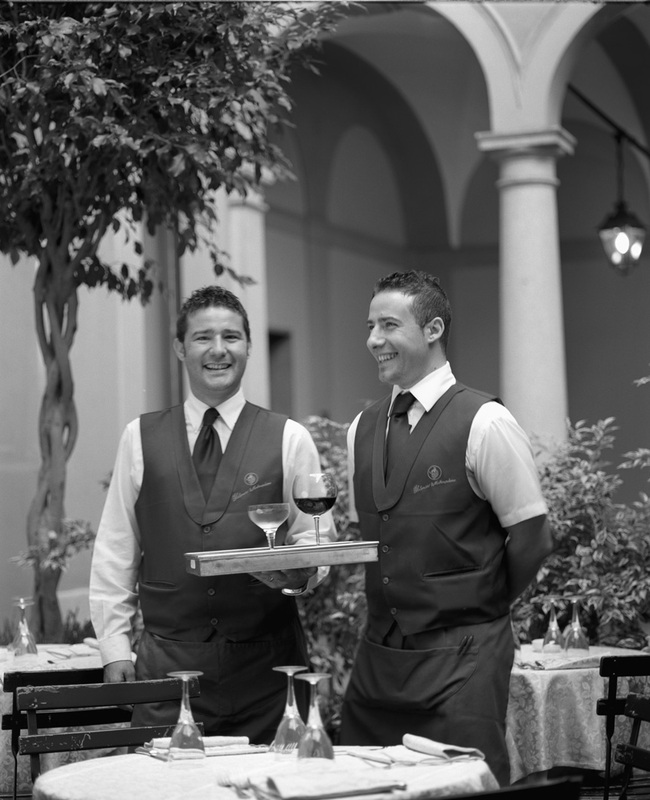 Ladies who lunch then stop at Il Salumaio di Montenapoleone for exquisite house made ravioli and a glass of wine. A good place to eat solo – elegant lone diners with their iPhones are part of the furniture. 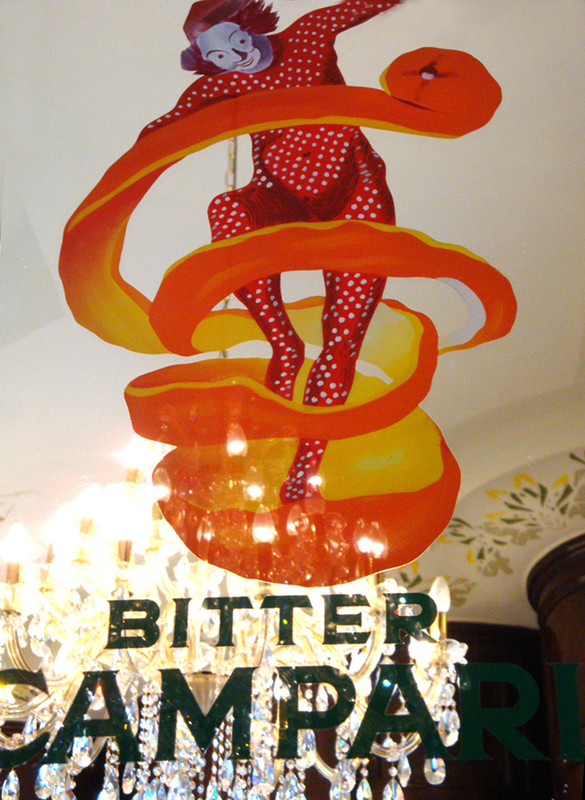 One of the most beautiful images in Robyn’s book is of a model lounging against the Bar at Camperino or Bar Zucca as it used to be known in the Galleria Vittorio Emanuele, adjacent to the Piazza del Duomo. Great in the morning before the tourists arrive, but also a fine place for a aperitivo – a Campari of course – before dinner. I loved Bagutta; its walls covered with the posters and manifesti of the Premio Bagutta literary prize, brimming with the atmosphere of a socio-storico landmark, historic meeting place for Milanese artists and intellectuals. 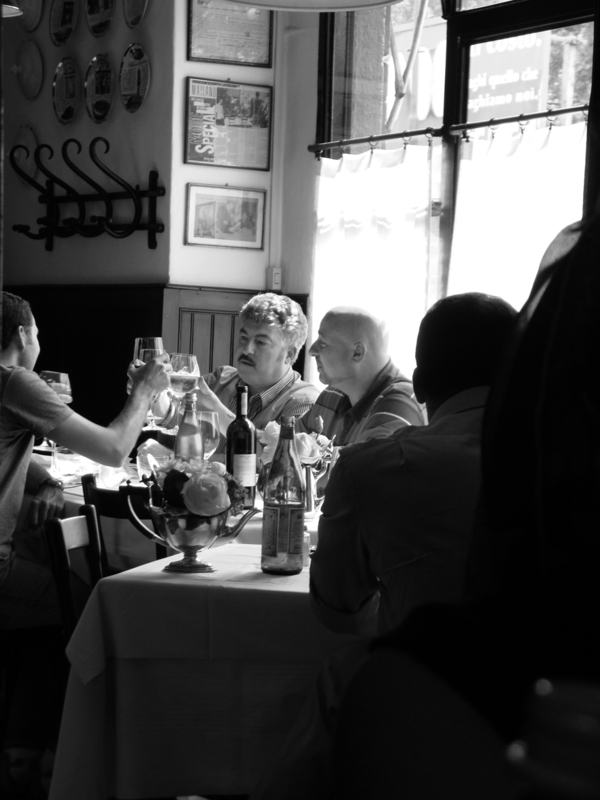 The menu is classic with no surprises, but a fine place for lunch or dinner for the character and charm of the place. My other big favourite, again more classic than cutting edge, was the Antica Trattoria della Pesa, all white cloths and antique tiled floors, gentleman waiters and maybe cliché but very classic dishes like Osso Buco with perfect golden saffron risotto. They serve a wonderful Tarte Tatin, see my earlier post on Milan for the recipe. Make time for Villa Necchi Campiglio, the wondrous art deco historic home of the sewing machine magnates. In the sixties my mother bought a Necchi, a lovely heavy thing with enamel body and timber case and I have a vintage Necchi too, so I wished she was with me when I visited the villa last June. The house and much of the interior was designed by Piero Portaluppi and is a superb example of Italian Art Deco architecture and interior design. The museum is run by FAI, sort of an Italian National Trust and is open only in specific periods so worth checking the website and even making a booking – all visits are guided. There are some quite wonderful features including stunning deco bathrooms, and the collection of paintings is notable. Shop – Corso Como is art and fashion, design and style. It is itself, a trailblazer of retail style. Go to Peck for Gastronomic wonders. Vintage hounds – Moscova Libri e Robe.